But that isn’t what he said in 2910. 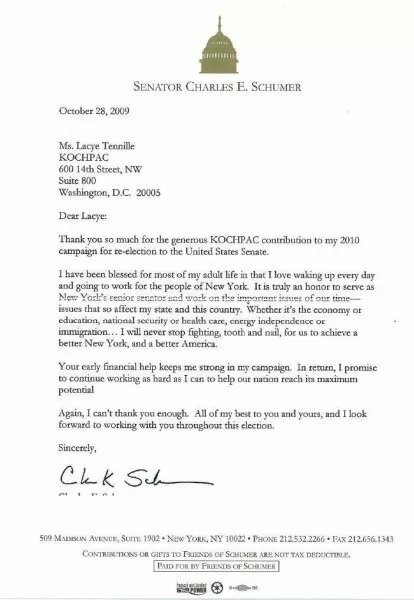 In 2010, Chuck Schumer said “Thank you!” to the Koch Brothers for their donation. When KochPAC, Koch Industries’ political action committee, donated money to Schumer’s 2010 Senatorial campaign, Schumer thought the Kochs were wonderful. Here is the letter of appreciation he wrote, dated October 28,2009.